CCCS and its sister agencies throughout the Federation of The Catholic Charities of New York rely on dedicated board members, volunteers, donors and partners in the community to carry out our vital work to improve the lives of New Yorkers in need. In fact, some of our most engaged board members and staff started out as volunteers. See how you can support our work — and perhaps find a new passion! Volunteering with Catholic Charities Community Services is a rewarding way to give back to your community in a meaningful, lasting way. Stay updated on the work we’re carrying out, uplifting stories from our communities, important events and so much more. 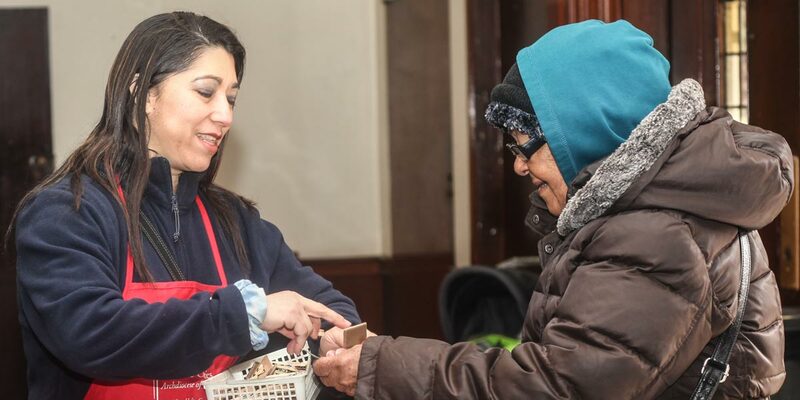 Through the generosity of friends like you — individuals, corporations, foundations, and many others, CCCS is able to meet the needs of the poor and vulnerable among us, always with dignity and compassion.